Permanent Suspension Magnets are mainly designed to use on conveyor lines and are mainly used for the purpose of removing iron impurities mixed with the products that are moving on the particular belt. 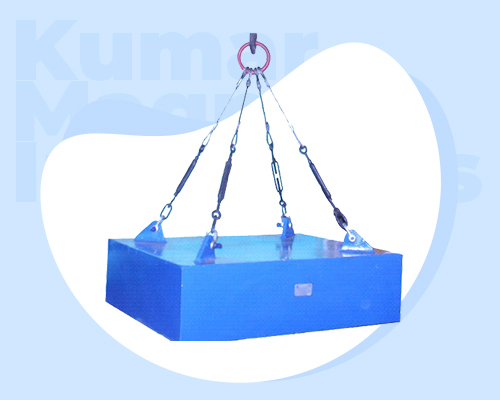 Jupiter Magnetics Private Limited is the paramount Permanent Suspension Magnets Manufacturers In Delhi. We have made the use of best raw components and advanced technology to deliver you the flawless product to your doorstep. These are known for separating the non-ferrous material from tramp metal from the material that is carried by a conveyor belt. The Suspension Magnet is highly recognized among its users because of its bells and whistles that make it very easy to use without having a lot of technical knowledge. Some of its common applications include iron removal from coal, stone, ores, and fertilizers and to name a few, where contamination by the tramp is irregular. As the top-tier Suspension Magnet Suppliers, and Permanent Suspension Magnets Exporters from India, we assure you the delivery of the final product within a promised time-frame. Our offered range is highly demanded in the market because of their superior quality and reasonable price. Drop us your email to get the product shortly.